You might be reading this and asking yourself what Kratom even is and how can you become addicted to it. This is understandable. The drug is fairly new to the United States. There are efforts being made to ban kratom, but they have been unsuccessful up to this point. Because opiate addicts are taking a huge liking to Kratom, it’s necessary to understand the signs and symptoms if Kratom addiction. One of the more worrisome aspects of Kratom addiction is how easily accessible it is. 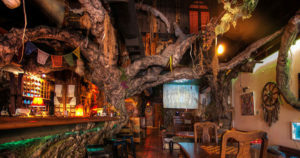 The drug comes from a tree that grows in Southeast Asia. It is capsuled and usually sold at gas stations. Like cough syrups, you can quickly purchase it and abuse it. Aside from the chemical properties, this is what makes kratom an addictive drug. There is an easy way to purchase it when an addict needs more. Kratom has been affecting the physical and mental health of users more often in 2018. It showed up in the United States in 2012, and even with more hospital visits due to the drug, legislators are not able to keep up with its use. It is completely legal and not very expensive. A quick online search shows several websites with different doses of kratom ready to purchase. people of their stress and pain. It is advertised in such a way that makes the drink seem like less of a dangerous drug that it actually is. Be mindful while traveling that you think about your personality and mental health and understand what you can afford to try. Being that it is an addictive drug, the feeling of Kratom abuse can definitely lead users to other drugs. Larger doses of Kratom produce feelings of lethargy, euphoria, and apathy similarly to Heroin. The Food and Drug Administration (FDA) now classifies Kratom as an opioid. Kratom, like Heroin, binds to opioid receptors. The different that scientists point out is that there are more negative effects on our physical health when using Kratom. There is a huge risk for respiratory failure. Being that the effects are similar but different to Heroin, some say it has not been banned for research purposes. In any case, Kratom abuse is dangerous when we take into consideration the drugs attachment to opioid receptors. Addiction treatment for both Heroin and Kratom addiction includes intensive medical detox and lots of focus on behavioral therapy. It takes a lot of patience to come back from the changes that the brain goes through with opioid addiction. Treatment options are available right away for people who are willing to seek help. If you or a loved one has been in contact with this dangerous drug and you feel attached to these feelings of lethargy, seek help immediately. Now that we’ve talked about Kratom’s origin and how serious Kratom addiction is, let’s get into what really happens when someone uses it. Receptors in the brain attach to Kratom and brain loves it, until it completely fries the brain’s ability to think straight. 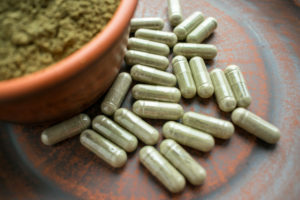 The signs and symptoms that come from kratom abuse are nervousness, vomiting, itching, constipation, delusions, tremors, aggressive behavior, hallucinations, and paranoia. This doesn’t seem like the most fun hand of cards to be dealt. Substance abuse becomes addictive very quickly when it comes to opioids drugs. When Kratom becomes addictive, those symptoms happen often which cannot feel good to those who are using it. The withdrawal symptoms of Kratom are similar to the withdrawal symptoms of Heroin. Dependence and addiction go hand and hand, here are what happens when Kratom abuse isn’t an option. If you notice these signs and symptoms of either abuse or withdrawal, look into finding inpatient treatment for either you or a loved one. There is such a thing as overdosing on Kratom and that is not an outcome you want to experience. Being physically addicted to any drug is very scary. But, this one is so new that there is very little knowledge of what it can do and it is best not to find out the hard way. On the top of the frequently asked questions list is how treatment for opioids is different from other kinds of treatment. The answer is simple. Treatment programs are specialized to deal with different drugs. While some aspects of inpatient rehab are the same and focus on the general concept of addiction, people will often split up by drug of choice for certain therapies. Alcohol rehab techniques will be different from opioid rehab techniques. Kratom is being treated as a drug that can make someone dependent and addicted. While it is legal, and there many people who are proponents of its casual use, the risks are endless. The drug is bad for your mental health, as seen by the depression and irritability that it can cause. The drug is bad for your physical health, as seen by the stomach issues and itching. Being addicted to Kratom is not worth making the transition to Heroin or the damage that can be done to your body. If you’re feeling unsure about Kratom abuse, seeking addiction treatment would be smart. There are many other methods of pain management both mentally and physically. The difficulty that the world is having with Kratom abuse is that some people do not abuse it. Some people can enjoy things in moderation and be just fine. The purpose of treatment is to help those who become dependent and addicted to substance abuse. Not everyone who touches Kratom needs to be immediately sent to a treatment center, the scary part comes from the abuse of the drug. You don’t send someone to alcohol rehab for having just one drink, the need for serious inpatient treatment comes from self-medication and the observation of withdrawal symptoms. Like we said before, what makes Kratom an addictive drug is that it’s right in your face. It’s hiding in plain sight and very easy to abuse. The last thing we want is anyone overdosing on Kratom when they could have gotten the help they needed to turn their habits around.